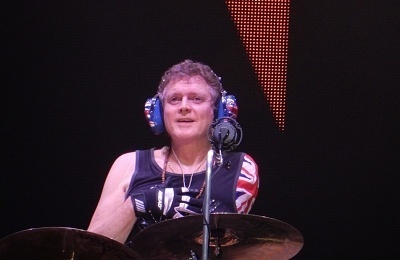 Def Leppard drummer Rick Allen was interviewed by The Miami Herald ahead of his art exhibitions in Florida. Rick talked about his artwork, working with the Wounded Warrior project and playing live with Def Leppard. Rick will exhibit his art twice at Wentworth Galleries on Saturday in Boca Raton and Fort Lauderdale, Florida ahead of the Def Leppard Hysteria cruise. Def Leppard return to Florida on 29th January in Sunrise, FL as the ongoing 2015/2016 world tour continues. "The older songs - when you get them in front of an audience they take on their own personality. You get this wonderful feedback of years and years of this music being in people’s DNA. I never take it for granted. It’s a massive blessing."